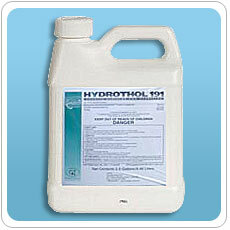 Hydrothol 191 is a registered, broad spectrum, organic, aquatic algaecide and herbicide. It is an excellent alternative to copper products. Hydrothol 191 is extremely effective in controlling hydrilla, milfoil, pond-weeds, elodea, chara, spirogyra, and pithophora. This product can be harmful to fish populations if used incorrectly. Always wear gloves, eye protection, and cover skin when using the product. Would you like to see the Hydrothol 191 Label? How about the Hydrothol 191 MSDS sheet?